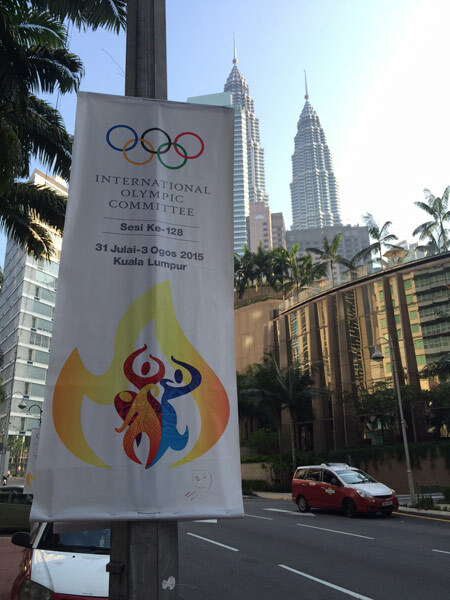 Reporting from Kuala Lumpur Convention Centre in Malaysia – The International Olympic Committee (IOC) will be doing away with their shortlisting procedure that has been used in past Olympic Games bids, it was announced Sunday at the organization’s 128th Session in Kuala Lumpur. 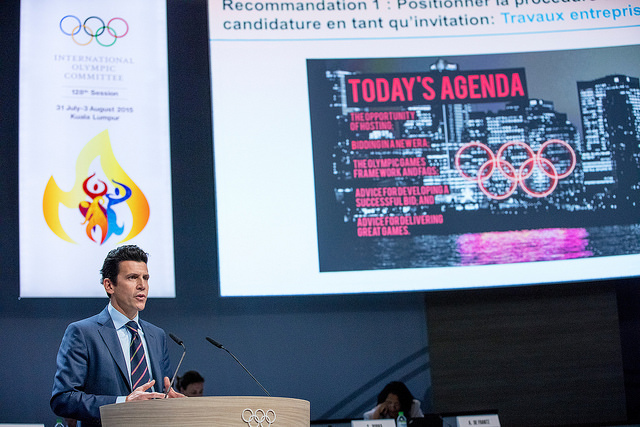 Olympic Games Executive Director Christophe Dubi announced sweeping new changes to the bid process that will begin with the 2024 bid campaign set to get underway September 15, the nomination deadline. The changes were the result of Agenda 2020 reforms that were approved last year. Instead of the application stage that all bids participate in and a candidate stage that only includes cities that qualify through a short listing process – all cities will now be involved in three separate stages over the entire 24 month duration. Dubi added that cities could be eliminated from the process by the Executive Board under special circumstances. The first stage of the reforms saw an invitation stage that was already added starting January 15. Dubi said that five bid cities – Rome, Hamburg, Boston, Paris and Budapest – attended seminars with the IOC as part of that stage of activities. He said more than 150 questions have been asked regarding the process and the new flexibility. The IOC will be updating more than 7000 pages of documents including the Olympic Games framework, host city contract, the “Candidature Procedure 2024 – A to Z Guide” and Olympic Games guides. These new documents will be distributed to the bid cities on September 15. It was already announced earlier in the session that bidding fees would be reduced from USD $650,000 to $250,000. It was not immediately explained when and how cities might be eliminated in the process, and how reporting from the candidate cities would be organized and scheduled throughout the campaign. Full details are expected when the Candidature procedure is released in September. During the session Sunday Olympic Council of Malaysia President and IOC Member HRH Prince Tunku Imram asked Dubi his thoughts on reinstating member visits to bid cities, explaining that many members were not familiar with 2020 Winter YOG bid loser Brasov and 2022 Olympic Winter Games loser Almaty. Dubi reminded Imram that the topic was already discussed last year at a Session in Monaco and added that a detailed photographic file was added to the 2022 evaluation report.